You all know that Jade is our little gymnast. She loves to flip, jump, bend and balance, but this past year, she has found something else that she loves. She loves to perform and dance. After her recital in May, she asked if she could be on stage more. 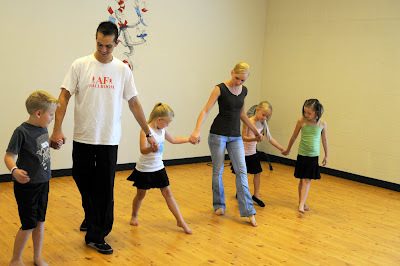 So, this past summer, she took another jazz/ballet class and we added a ballroom class. 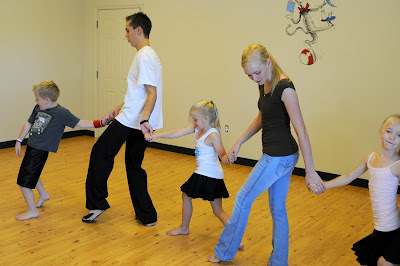 She loved ballroom and really enjoyed doing it with Luke, her cousin. Since she loved to perform, I asked her if she wanted to audition for the performing companies at the Vibe. 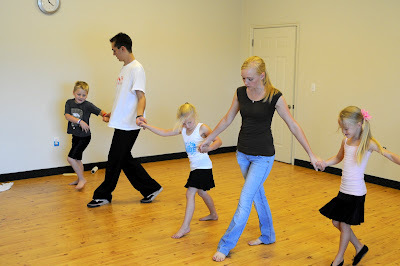 They had an intensive three day workshop where she got to learn a hip hop routine, a ballroom dance and a jazz number. She worked really hard on the choreography and wanted to remember the dances. The day after the workshop, they had closed auditions. (Closed auditions mean that the parents don't get to watch). 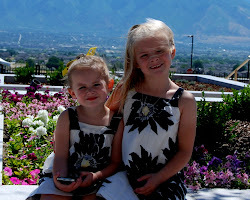 I hated that I had to drop her off and then just wait, but both girls did a great job with their auditions. They received wonderful comments from the judges and they both worked really hard. Yesterday we got the news that Jade made all three performing companies. They are trying really hard to have all of her classes on Monday and Wednesday (she has to take 5 hours a week). Keep your fingers crossed that it works that way because gymnastics is on Tuesday and Thursday (4 hours a week). I was planning on making her choose between the two, but I think she's just too young to have to quit one of them just yet. If she's feeling overwhelmed, then we can decide which one has to go. But, for now, I'm so excited for her and can't wait to watch her grow.